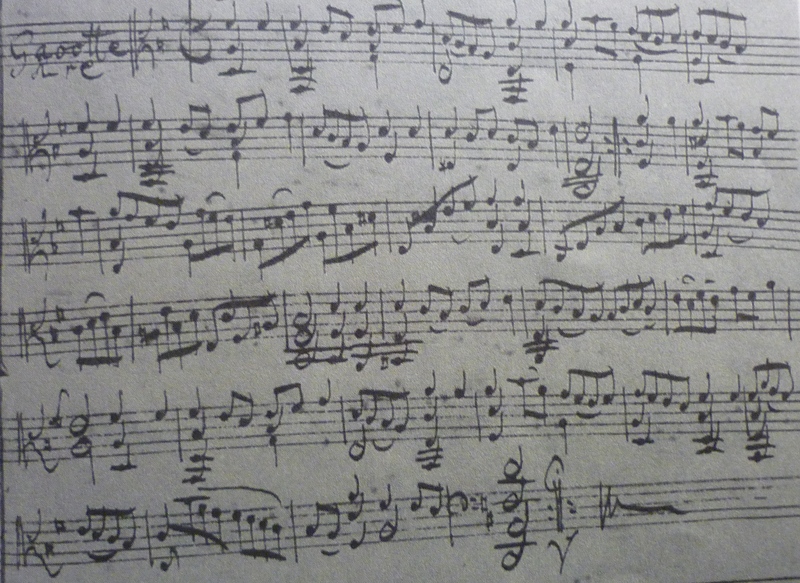 Sometimes Bach likes to have something altogether rather jolly for his second-to-last word. Take, for example, the Goldberg Variations. The last movement before the reprise of the opening Aria is the Quodlibet, whose title is a Latin word with the agreeable meaning “what pleases,” or, as my undergraduate students would say, “Like, whatevs.” It’s said that Bach incorporated a popular song tune of the day called “Sausages and Cabbages” into the Quodlibet, and I find this immensely endearing. The first I heard of this story was in the winter of 2008, when two of my Tasman String Quartet colleagues and I were preparing the Dmitry Sitkovetsky arrangement of the Goldbergs for string trio. We related it with glee over a splendid Christmas Eve dinner to our host, the pastor of Grace Lutheran Church in Boulder, Colorado (a wonderful, acoustically perfect little church in which we ran a concert series in 2008-2009). He guffawed “How very Lutheran of Bach! We Lutherans just love sausages and cabbages!” Then he urged us to take third helpings of both. And that’s Bach for you. But back to the rollicking good time (we don’t get to heart-stopping perfection until tomorrow). The D major Gavottes are anomalous in the six-suite cycle in a number of ways. There’s the matter of the key signature: cut common/cut time in Gavotte I and a plain “2” in Gavotte II. What’s the difference? They’re both “in 2,” so why differentiate between them? 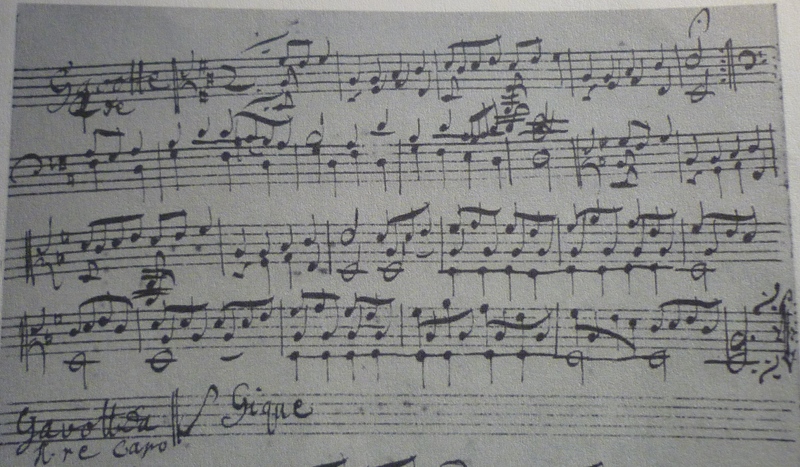 I wonder if Bach means to suggest not only a subtle tempo change here, but also a character change. He doesn’t change into the parallel mode for the second of the Galanterien here the way he does in the first three suites, which provokes you into thinking you’d better do something. In addition to this, the second Gavotte is in a rather different style from the first. Gavotte I has more of the graceful Baroque dance about it, the sort you might expect to see lords and ladies doing, but Gavotte II, with its vigorous peasant energy and its folk-style drones, suggests a real knees-up of a country dance, one you might dance to in the village barn until everyone was exhausted and the hearty community feast of sausages and cabbages was ready. Perhaps to be washed down with a mug of beer or two. This said, today’s recording wasn’t the most rollicking thing in the world, mostly because I still can’t play the Sixth Suite very fluently yet. I notice that my face is set in an expression of grim determination. It was my Take 3, and by then I was playing very cautiously, because Take 1 (in which I tried to portray a lot of sausages and cabbages) had many intonation lapses that I didn’t even realize I was making as I played them, and Take 2, which had been pretty good until Gavotte I da capo, had a few weird wrong notes that I couldn’t bring myself to post on YouTube. I suppose I wasn’t quite ready to release any unbridled foot-stomping. This whole project has provoked me to make a resolution: that I want to be able to play the later suites really, really well. I’ve already admitted that I didn’t, to my shame, learn the Sixth Suite until this year. I think it’s going to be my project now for a long time. Of course it would be nice to have a five-string cello to play it on, but in the absence of that rare beast, I want to play it as well as possible on the normal cello. Recording your early attempts at learning one of the hardest pieces in the repertoire is a sobering business (sobering? Who am I kidding? It’s positively cringe-making), but I’m willing to make a bet that I’m going to play it a lot better a year from now. In fact, I wonder if it might be fun to repeat this project next summer. And maybe every summer. Wouldn’t it be interesting to have a “snapshot” of Bach at every time in your life? Today’s practice list: D major Gavottes I & II, Gigue.